I’m sure most folks have a ‘lottery list’ of bikes they’d put in their garage if they won big. 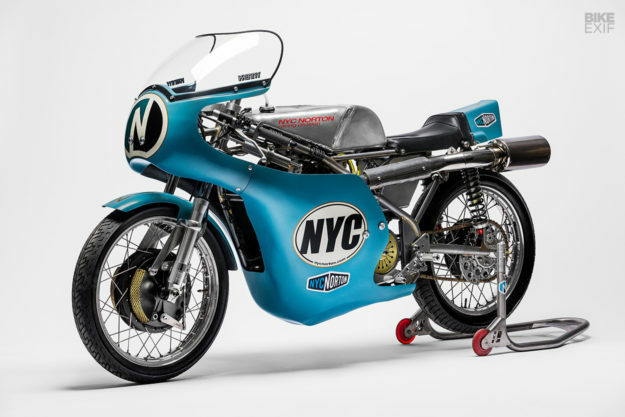 And on my own mental list I have a restomod Commando from NYC Norton. That might have to change though, because this Seeley G50 is even better. 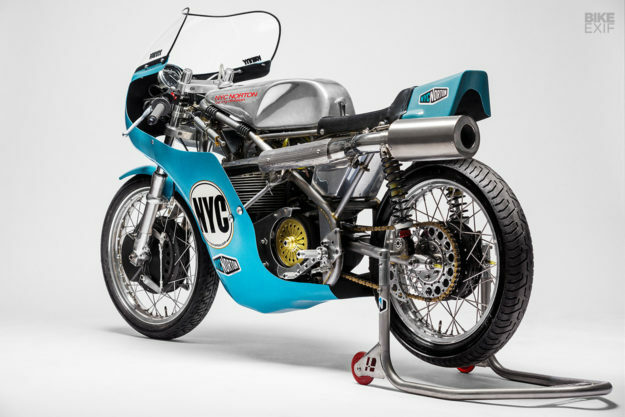 Kenny Cummings built it for the Custom Revolution exhibition at LA’s incredible Petersen Museum, and although it’s powered by a short-stroke replica Matchless Grand Prix motor, it’ll be made street-legal when the exhibition has run its course. Back in New York City, Kenny [below, left] knew he had to get a G50 to campaign in the USA. And so he did. 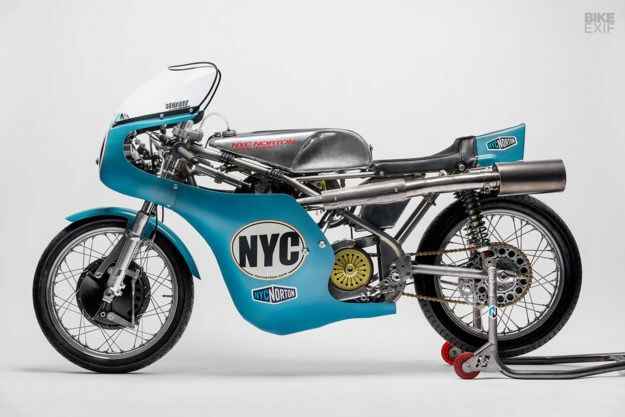 After a season of racing, folks started taking interest, and NYC Norton has now built a salvo of Seeley G50s for clients in the US and beyond. 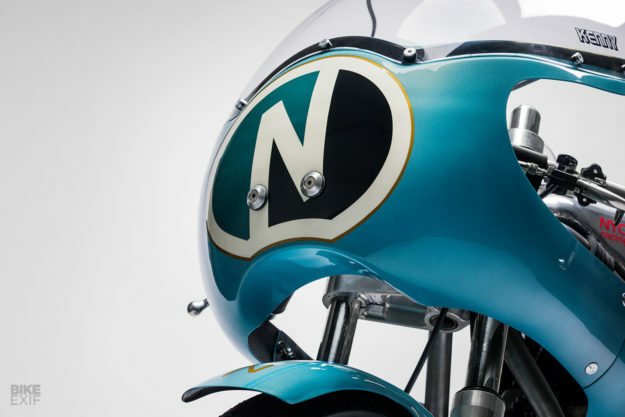 One of Kenny’s clients, Helmut Niederer, commissioned two Seeley G50s. 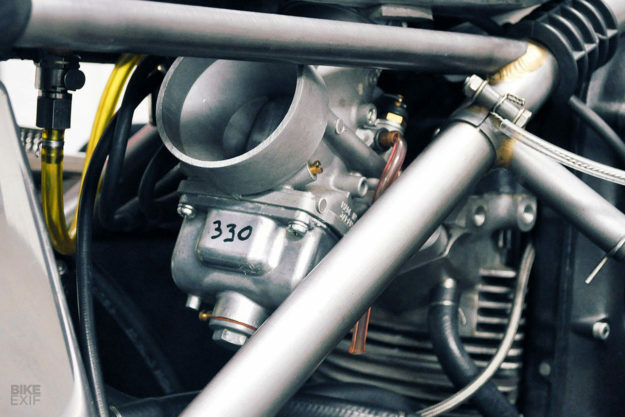 And he also secured a spare ‘92 bore’ motor from Minnovation Racing, as insurance before a trip to Australia’s Phillip Island track—which is notoriously hard on engines. 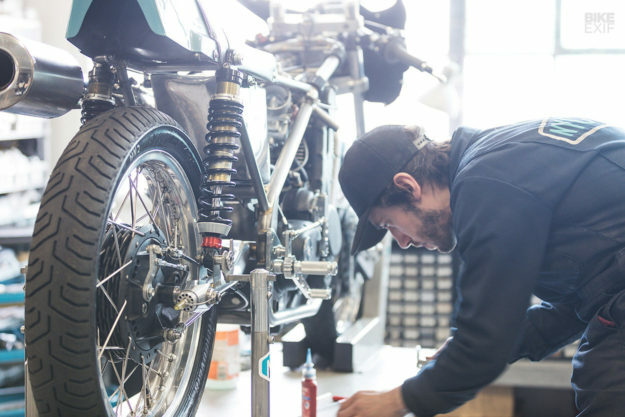 Then Kenny received an email from The Vintagent himself, Paul d’Orléans, asking if he’d be interested in building a bike for the upcoming Custom Revolution show. Kenny acquired a frame from Roger Titchmarsh, the only frame builder recognized by Colin Seeley for continued chassis fabrication. 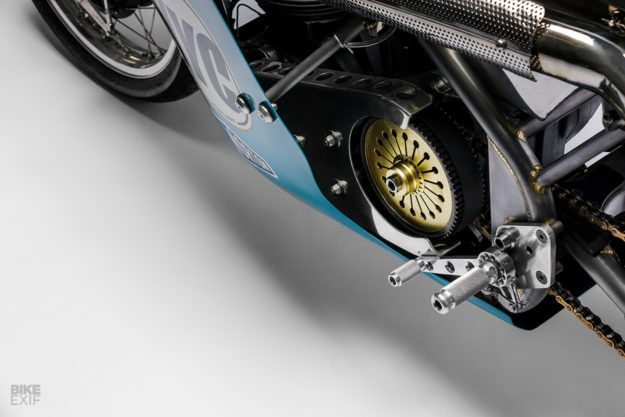 Engine plates were made up, a TT Industries 6-speed close ratio gearbox was bolted on to the motor, and replica Ceriani forks were slotted into the triple trees. 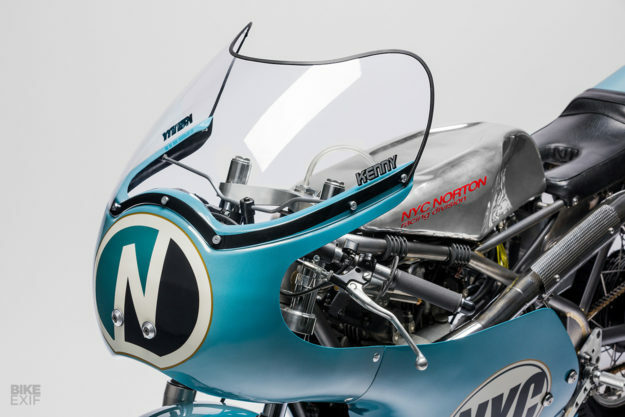 NYC Norton has always built bikes that prioritize function over form, whether they’re road-going Commandos or highly-specc’d racebikes. 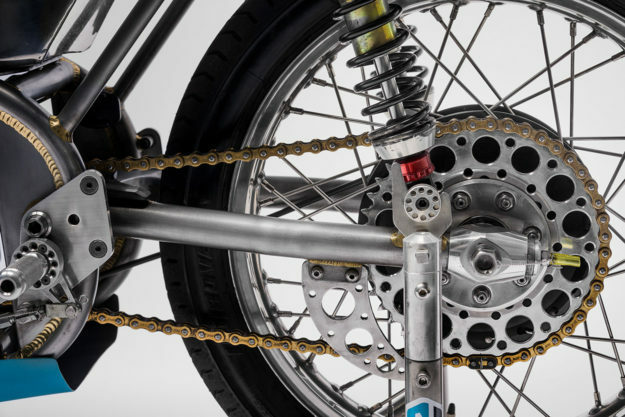 But there’s beauty in the details here, from the replica Fontana hubs to the custom-fabricated rear sets, and the high performance shocks built by Cogent Dynamics of North Carolina. “We spend time to make our builds pretty,” says Kenny, “but they must first handle, then stop, and then go. This G50 is no exception. 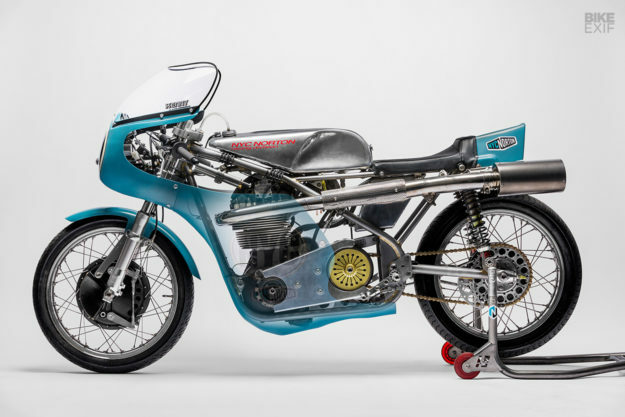 It’s ready to race, and it’s even safety-wired—just add bean oil and go!” And go it will: dry weight is a mere 245 pounds (112 kilos). 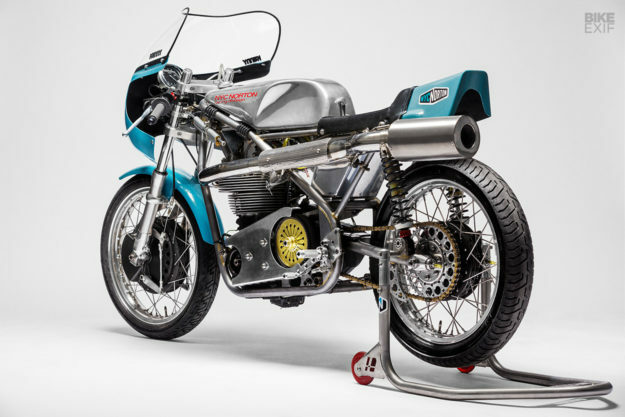 Paul d’Orléans knows all too well about customs and their nuanced forms, and this Seeley G50 will dovetail nicely with Alp Sungurtekin’s Triumph land speed racer—and Revival Cycles’ J63 bridging the race-to-street gap. And when the lights are dimmed on the Petersen exhibition in 2019, the G50 will get a charging system, a headlight, and a brake light. And into the sunset it will go. If your appetite is whetted, drop Kenny a line. 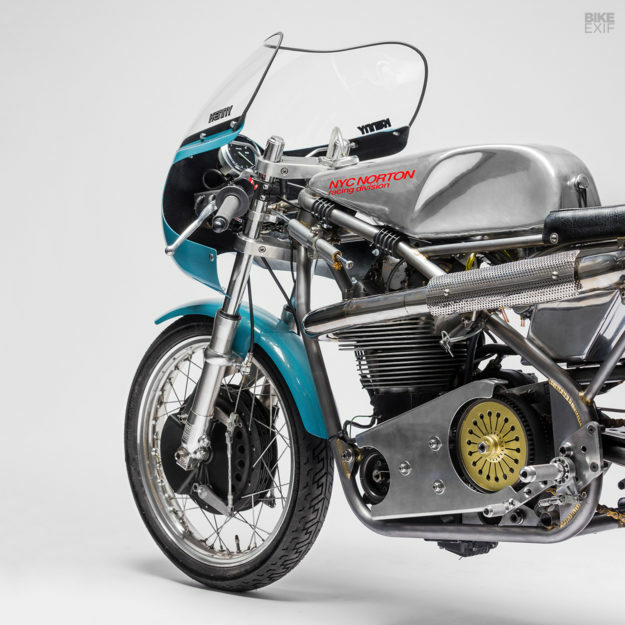 After all, there aren’t many customs with a major museum pedigree—let alone ones that will also happily run on the streets.